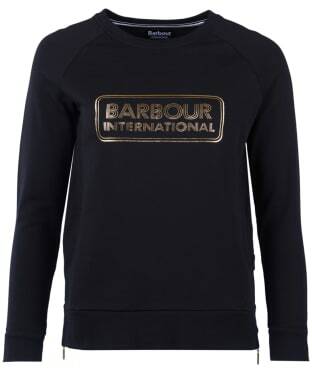 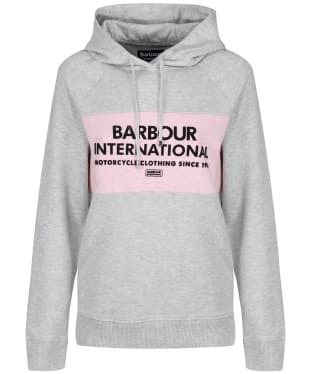 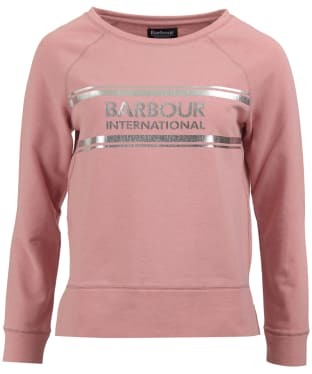 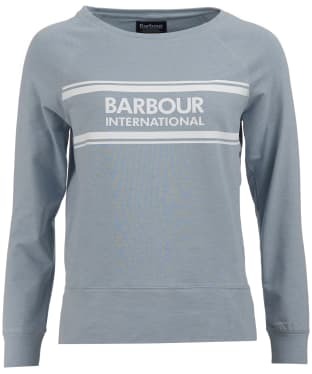 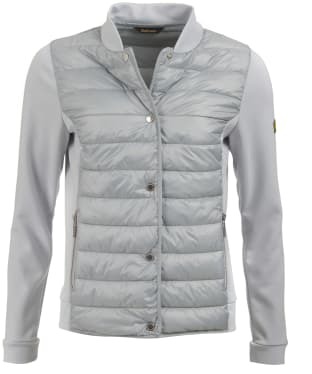 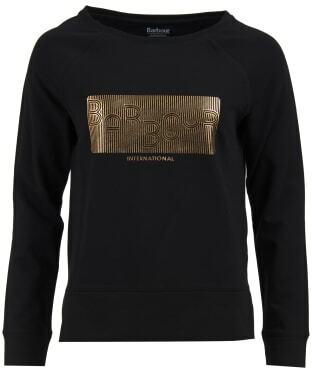 Playing right in to the sports-luxe trend, the Barbour International Mugello Sweat is a striking, glamorous sweater with a foil-print Barbour International logo to the chest. 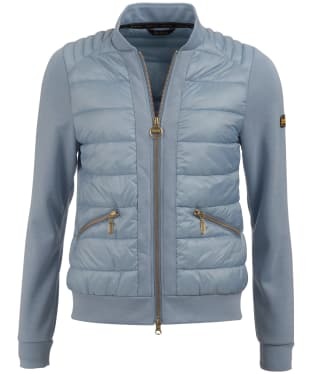 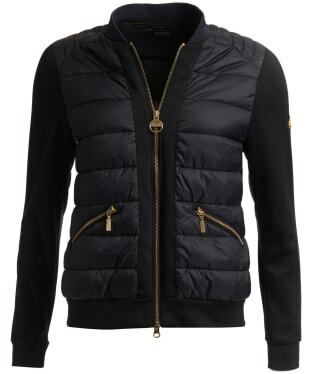 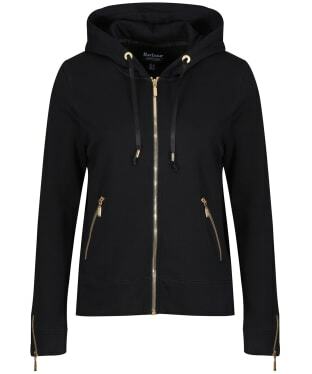 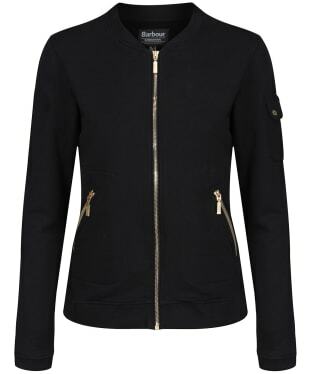 Exposed zips at either side of the hem showcasing that classic biker style we know and love from Barbour International. 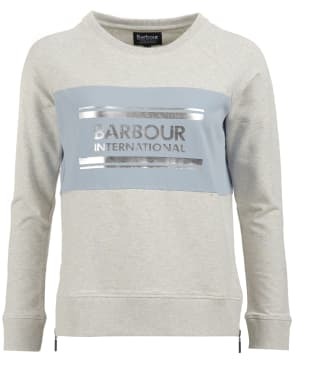 Crafted in cotton loop-back fabric with a round neckline and raglan sleeves for exceptional comfort and effortless wearing, this casual sweater will easily mix and match with your current wardrobe.